Founded in 1852 the French Protestant Historical Society is one of the oldest learned societies in France -The State Council declared it a public service on 13 July 1870. Its aim is to gather, preserve and publish documents about the history of French Protestantism, but also to develop research in the field. 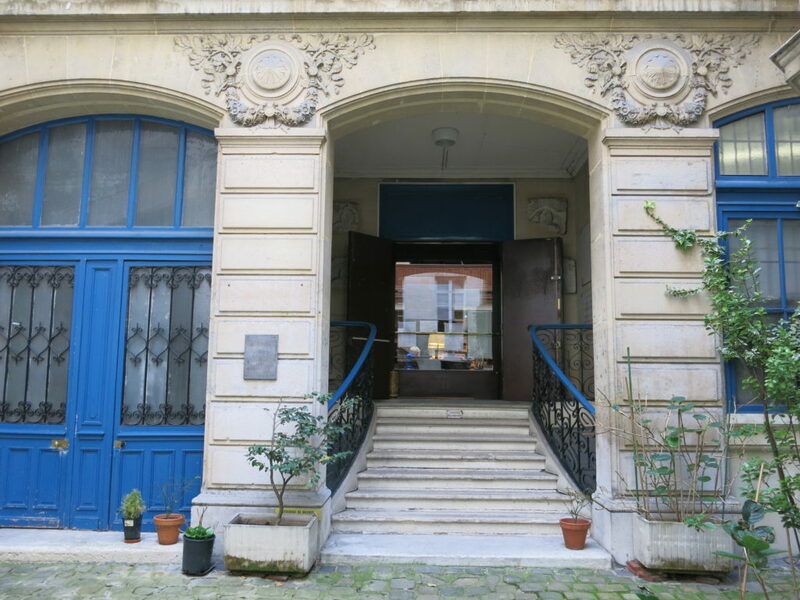 To ensure the double, patrimonial and scientific, mission, the SHPF has kept a large library in the centre of Paris at 54 rue des Saints Pères, since 1885. It publishes a quarterly magazine Revue d’Histoire du protestantisme (Magazine of the History of Protestantism) -formerly called historical and literary bulletin of the French Protestant Society -, to be found in Gallica and major magazine databases. With 100,000 volumes and manuscript plus iconographic holdings, the Bibliothèque du protestantisme français (Library of French Protestantism) has become the main research centre on Protestantism in French, welcomes students as well as French and foreign researchers. The library is intended to receive papers from institutions, from private individuals and leading figures of French Protestantism, to preserve and highlight the documents. 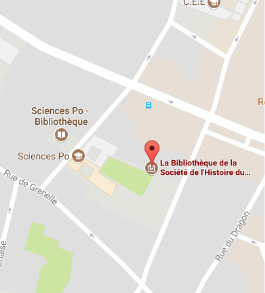 The Centre de généalogie protestante (Centre for Protestant Genealogy) of the SHPF has a similar aim. The property policy of the SHPF also concerns museums, situated in Protestant historical places, such as the musée du Désert in Mialet (Gard region) and the musée Jean Calvin in Noyon (Oise region). The SHPF along with the Eugène Bersier Foundation has created the Musée virtuel du protestantisme (Virtual Museum of Protestantism). It also co-hosts the European Network of Museums of Protestantism. President: Isabelle SABATIER, consr gal des bibliothèques. Vice-President: Marianne CARBONNIER-BURKARD, m.d.c. hre IPT. Secretary General: Jean-Hugues CARBONNIER, avocat. Antoine DURRLEMAN, Pdt ch. Cour des comptes (Finances). Corinne GIBELLO-BERNETTE, conservateur BnF (Bibliothèque). Henri ZUBER, arch. Paléographe (Fonds Ferdinand de Schickler). Honorary members: Victor BEYER, Michel LEPLAY. Christian de POURTALÈS. Jean BAUBÉROT, dir.d’Et. hre EPHE. Pierre de BOUSQUET de FLORIAN, préfet. Gabrielle CADIER, m.d.c. em. Univ. Paris 4. Denis CARBONNIER, avocat aux conseils. Catherine COSTE, Pdte association François Guizot-Val Richer. André ENCREVÉ, Pr em.Univ. Paris XII. Janine GARRISSON, Pr hre Univ. Limoges. Pierre-Yves GAUTIER, Pr Univ. Paris 2. Frank LESTRINGANT, Pr Univ. Paris 4. Michel MARION, consr gal des bibliothèques. Olivier MILLET, Pr Univ. Paris 4. Annie NOBLESSE-ROCHER, Pr Univ. Strasbourg. Bernard ROUSSEL, dir.d’Et. hre EPHE. Laurent THEIS, Pdt hre SHPF. Paul VIALLANEIX, Pr hre Univ. Clermont-Ferrand. Bernard VOGLER, Pr em. Univ. Strasbourg. Edith WEBER, Pr.ém.à la Sorbonne. Jean-Paul WILLAIME, dir. d’Et.em. EPHE. Arnaud BAUBÉROT, m. de c. Univ. Paris XII. Chrystel BERNAT, m.d.c. IPT Montpellier. Neal BLOUGH, Pr Fac. th. Vaux-sur-Seine. Céline BORELLO, Pr Univ. du Maine. Philippe BÜTTGEN, Pr Univ. Paris 1. Sébastien FATH, dir. rech. CNRS. Daniel FRIES, Pr des Univ. Patrick HARISMENDY, Pr Univ. Rennes 2. Pierre-Yves KIRSHLEGER, m.d.c. Univ. Montpellier. Pierre-Olivier LÉCHOT, m.d.c. IPT Paris. Michèle MOULIN,consr gal des bibliothèques. Catherine SECRETAN, dir. Rech. CNRS. Gilles VIDAL, m.d.c. IPT Montpellier. Jean-François ZORN, Pr em. IPT Montpellier. Emidio CAMPI, Pr. Univ. Zurich. Dieter COERTZEN, Pdt de The Huguenot Society of South Africa. Olivier FATIO, Pr Univ. Genève. Thomas KAUFMANN, Pr Univ. Göttingen. Rémy SCHEURER, Pr. Univ. de Neuchâtel. Ruth WHELAN, Pr. Univ. Maynooth (Irl. ).